NOTE: The 2018 RiverStone green tea is a little more dense than it has been in previous years. It has been recommended by the garden that we might want to use slightly less leaf (or slightly more water) when steeping this 2018 harvest. Not too much less, but if you are measuring by weight, try using 2.25 – 2.5 grams rather than the more tradtional 3 grams for a green tea that is expected to be re-steeped. We are finding that this year’s leaf re-steeps successfully 2-3 times depending on the length of time of the steepings. You should expect that the 2018 RiverStone will be spent after a total time in the water of 10-12 minutes. Delicious RiverStone green tea is as good as ever again for 2018! We love its fresh, full-bodied flavor! One of our customers’ (and our) favorites for year-round green tea thirst-quenching, this is a tea that always satisfies. It is quite nice to have it as a reliable year-round green tea…every year! 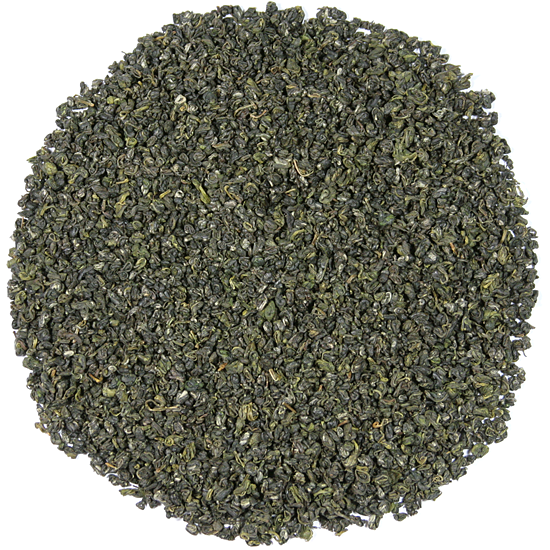 RiverStone is an extremely unique but traditional green tea manufacture. We see this type of hand-rolling occasionally, and watch for it, as it usually indicates high quality and expert handling. Hand-rolling green tea leaf into small, pellet-like bundles reduces the surface area and helps to retain the flavor components within the leaf structure. 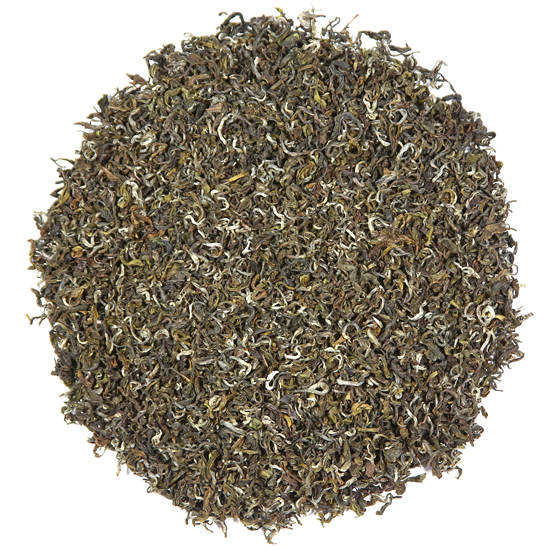 We know that this tea has quite a lot of flavor to give for many months ahead when many of the early spring greens will have started to fade. RiverStone is hearty and rich, with a deep, satisfying flavor that develops through several steepings. In fact we are big fans of the secondary steepings because they show the well-made character of the tea by the artisan’s skilled hands. This is a tea that is only made once a year in the mid-spring, as the leaf must be of a very particular size and age in order to produce the desired finished tea. Once mid-April comes around, the production of RiverStone ceases and the tea makers are on to manufacturing other types of tea production. There are many green teas that were formerly known as the country greens – that is, a green tea that would hold well throughout the year until the next harvest. Much emphasis has been given lately to the spring green teas, which is appropriate as they are wonderful; however many of them do not keep as well as most of us would like. There are times throughout the year when a great cup of green tea would be very much the tea of choice, but often the tea pantry only has in it well-keeping oxidized leaf and a few starting-to be-tired spring greens. So we are bringing back some of the traditional, country green teas that are hearty and long-keeping to help with this gap in choice of beverage. In traditional green tea manufacture, the leaf is rolled more vigorously and the tea’s ‘juices’ are encouraged on to the surface a bit more than in the process used to produce a lighter, more delicate and elusive spring green tea. 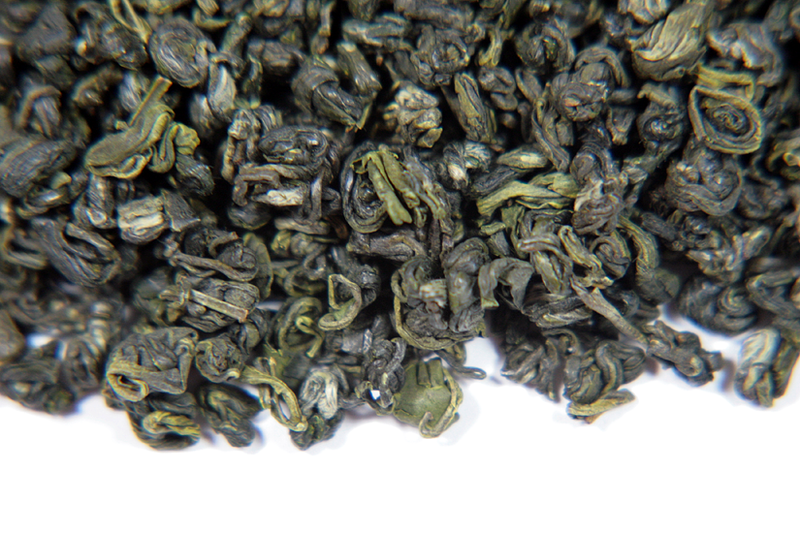 We at Tea Trekker are big fans of these traditional country greens – after all, that was all we could obtain for the first 20 or so years that we sold green tea back in the mid 70’s to mid 90’s. They are delicious, and while they have always remained popular in Asia; here in the West they have been forgotten to a certain extent.